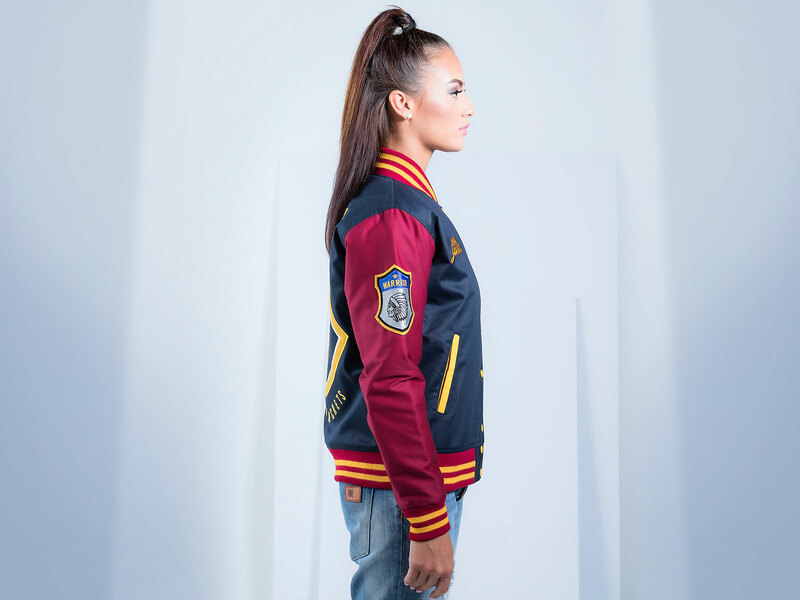 Undoubtedly one of the most popular items when it comes to women’s clothing, the polycotton twill varsity jacket twill varsity jacket is an achievement of our modern spin on the traditional polycotton twill. Polyester for a strong structure and cotton for a comfortable feeling, we bring you the best of both world that fabrics have to offer. 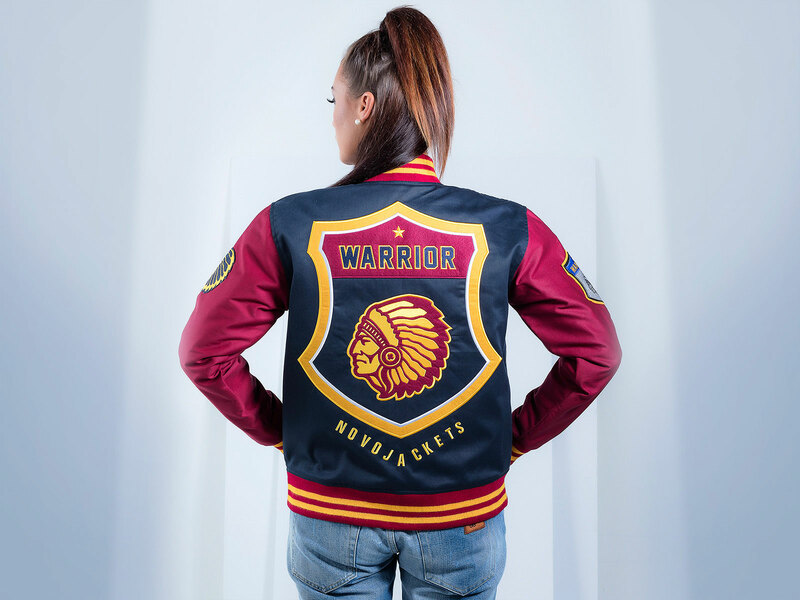 We think that costuming varsity jackets should no longer be boring, no matter whether you are a man, a woman, someone graduating with the class of 2017, a geek or even a fashionista. Hence, you get free reign over designing this jacket all by yourself. Choose from a wide range of fourteen colours, add as much details you want, this is your golden opportunity. Elasticized cuffs and waistband, we have even added a pure cotton lining to minimize discomfort, avoid clutching of the fabric and minimize lint formation. 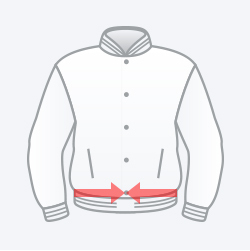 The polyester and cotton blended twill that we use for our varsity jacket is as soft as it is malleable. Easy, lightweight and breathable, it is an upgraded version of your average cotton jacket. The organic poly-cotton is more durable. The cotton twill varsity jacket comes with a full frontal snap closure option, with stylish and simple metal snap buttons. For an alternative option, we provide you with a full frontal genuine YKK zipper system, prone to breakage and tear. 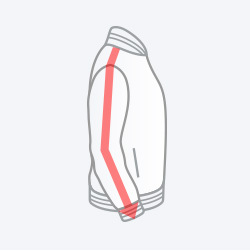 Worried about stretching jacket that will sag? Well, there is no no need because we use 100% genuine polyester acrylic fabric for all of our knitting. This means that the jacket is deigned to last longer, stronger and without damage. Completely hidden 100% genuine cotton line makes the varsity jacket more comfortable by preventing irritation and chafing. The cotton lining, which is present all along the jacket, prevents the wear and tear over time by holding the shape firmer. With us, you can take hold of the reigns of the entire creative process. All you have to do is let us know what you want, and the way to do that is by using our Jacket Designer. Simply select the style of the twill varsity jacket that you like, specify the material as well as the colour that you want it in. Also, if you have any special logos, any nice names or even hand embroidered patterns or designs that you know, just upload them. 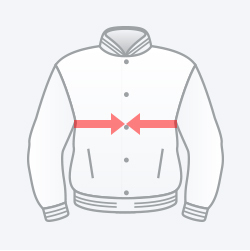 Using all of your information and specifications, our team of experts will make you the polycotton varsity jacket of your dreams. Logo with background, no issue our designers will remove it and make it transparent. If you want specific treatment in your mind for a patch / embroidery, leave a note in jacket builder. We may reduce / increase the size of embroidery / patch to make it look nice. 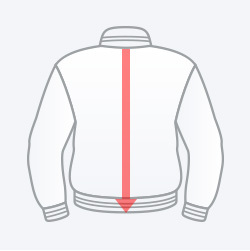 This will determine your actual jacket size. With arms down at sides, measure under the armpits, over the fullest part of the chest. Measure across your natural waistline. Measure from the center of the neck at collar seem to the hem edge for back length. Stand up straight with your arms down at your side and measure from your neck to where wrist meets your hand.